Henry Twyst, eighteenth Duke of Chellingworth, is convinced his mother is losing her marbles. She claims to have seen a corpse on the dining-room floor, but all she has to prove it is a bloodied bobble hat. Worried enough to retain the women of the WISE Enquiries Agency – one is Welsh, one Irish, one Scottish and one English – Henry wants the strange matter explained away. But the truth of what happened at the Chellingworth Estate, set in the rolling Welsh countryside near the quaint village of Anwen by Wye, is more complex, dangerous, and deadly, than anyone could have foreseen . . .
Lark: Hi, Cathy! Welcome back to The Bookwyrm’s Hoard – It’s great to talk with you again! 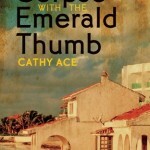 Cathy Ace: Thanks for having me back – it’s a pleasure to be here. Lark: I’ve been following (and enjoying!) 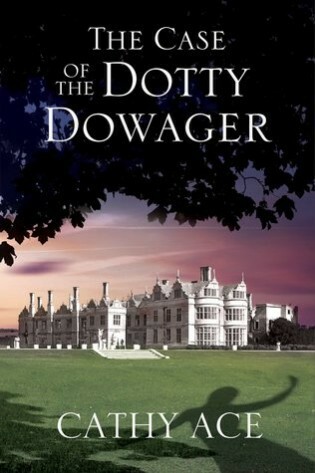 your Cait Morgan series for several years now, but The Case of the Dotty Dowager is the start of a new series featuring the ladies of the WISE Enquiries Agency. What inspired you to write the new series, and how does it differ from the Cait Morgan books in terms of setting, content, and tone? CA: I’m so pleased you enjoy spending time with Cait and Bud – and thanks for deciding to give the WISE women a chance too! Creating a second series is always a big step, but I thought it was the right thing to do. In truth, both the Cait Morgan Mysteries and the WISE Enquiries Agency Mysteries were originally created in two self-published books, in the form of short stories and novella. Cait Morgan is Welsh Canadian and sleuths around the world, now accompanied by her partner in crime, and life, Bud Anderson who’s a retired Swedish Canadian homicide cop…so the fact they were picked up by a Canadian publisher is not a surprise. The Cait Morgan Mysteries vary slightly from book to book not only insofar as each takes place in a different country, but also in that I like to play with the different forms of the classic puzzles we’re all familiar with that are still “closed circle” mysteries. In that respect they are reminiscent of Agatha Christie’s work, in that the puzzle and the characters specific to the book and the setting or locale drive each individual book, with Cait and Bud’s relationship developing “between books”. With the WISE Enquiries Agency Mysteries we have four leading characters, all women, but of various ages, backgrounds and viewpoints (one is Welsh, one Irish, one Scottish and one English – hence the name of their agency) and they don’t sleuth, they are employed to investigate. That means they have to approach their cases in a very different way; they have to gather data, discover facts, reveal connections, and share that information with their client as they go along, so the solution to the puzzle is revealed as one reads, rather than in a grand, final denouement. Also, the setting is different, in that each book will have one common setting – the wonderful Chellingworth Estate, in the rolling Welsh countryside of Powys, where the Twyst family has produced the dukes of Chellingworth for eighteen generations. There’s also the seemingly idyllic village of Anwen-by-Wye, situated on the Estate, and we meet the people who live there, as well as at the stately home itself. 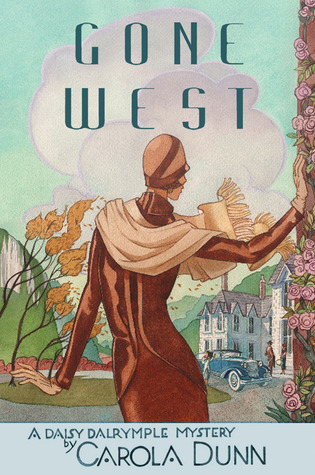 These books will be more character driven, and we get the chance to see life at a modern stately home through the eyes of a wide range of recurring characters. These books could have been written as “Downton Abbey with dead bodies” but I didn’t want to take that route – you’ll find that history, tradition, quintessentially British quirkiness and modern technology all work together in these books with a contemporary setting, and four very modern women, facing modern life challenges! 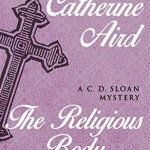 Lark: As long-time Christie fan, I’ve noticed and appreciated the Christiesque flavor to the Cait Morgan mysteries. I also dearly love British mysteries, especially of the cozy variety, so I think I’m going to enjoy the new series just as much as I do Cait’s books! Your narrative voice is different in this series – third person rather than first, and a bit lighter, somehow. Was it hard to switch from one to the other? CA: I enjoy writing “as” Cait Morgan – she’s a very personal voice, for me. But, with multiple protagonists, these WISE books needed a different approach. Yes, I think the tone’s a little lighter, in that we get to enjoy time with many people who, necessarily, have lives to lead, as well as a job to do. It’s been fun to change my perspective, and I’ve enjoyed doing it. The different style is good for me, I think – as the saying goes, “A change is as good as a rest”. I really hope readers enjoy the multiple points of view too – feedback so far has been that this works well, and it allows readers to go with each of the four women who work for the agency on their individual parts of their joint assignment. Lark: Will you be writing both series simultaneously (or sequentially)? I really hope we haven’t seen the last of Cait! CA: Don’t panic! I’ll be writing both simultaneously – which is great fun. 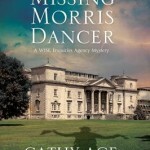 In October Cait Morgan Mystery # 6, THE CORPSE WITH THE DIAMOND HAND, will be published, where we spend time with Cait and Bud on a Hawaiian cruise, and that same month sees the UK publication of the WISE Enquiries Agency #2, THE CASE OF THE MISSING MORRIS DANCER, which will be released in the US and Canada in February 2016 (there’s always a time-lag between UK and north American releases). 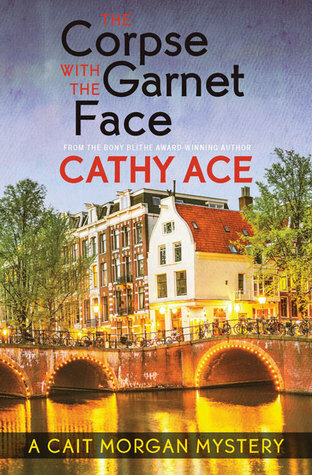 In the spring of 2016 THE CORPSE WITH THE GARNET FACE comes out (set in Amsterdam) and in the fall there’s THE CORPSE WITH THE RUBY LIPS (set in Budapest) – both these Cait Morgan Mysteries are well in hand! I’m also currently working on the third WISE book, THE CASE OF THE BEWILDERED BOOKSELLER, which I hope will make it to north America before the end of 2016. Lark: You do realize you’ve just increased my TBR list by five books in one fell swoop?! Seriously, though, it’s great that you have so many books in the works. All the more for us to look forward to! On another note, is there one kind of scene that’s harder for you to write? What makes it tougher? And which are your favorite scenes to write? CA: Every type of scene has its challenges, but I can’t honestly say one type is more difficult than another. The way I write tends to be the same in all instances: I “see” the scene in my head, I inhabit the space, I see the expressions and setting, I feel the air in the room, I smell the hot buttered toast – or whatever might be surrounding my characters – then I try to get all that on paper, without the words getting in the way. 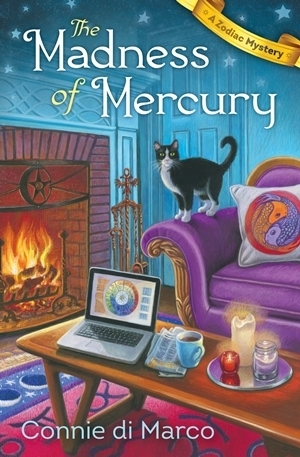 In the WISE Enquiries Agency Mysteries there are many people, and they all have to be introduced in book #1, which is the biggest challenge of all…because I want readers to get to know the people a little, and to want to get to know them better in book #2, but I also have to have room for the case to unravel! So, in answer to your question about the biggest challenge, I think that’s it – getting the balance right in the first book in a series. As for which I enjoyed writing the most? I have a bit of a soft spot for the interactions between Mavis MacDonald (a retired army nurse, widowed, with grown sons and grandsons) and Althea Twyst (almost eighty, she’s the “Dotty Dowager” of the title, and is quite the character…locals think of her as the human equivalent of her own little Jack Russell terrier, McFli). I would happily take tea with these ladies, and just sit back to listen to their banter! Lark: Where do you see yourself and your writing down the road – say, five or ten years from now? CA: Oh my goodness me – I have no idea! I would hope to still be writing both series, still mixing with all the lovely people I’ve met online and at various conferences and events, and still learning. One of the best things about being an author is the chance to always be learning new things – research for books is a joy, and then there’s the skill of writing too; there’s always room for improvement there! Lark: Can you tell us one funny or unusual thing about you, that would probably surprise your readers? CA: When I was researching this book my Mum, sister and I went to a real stately home in Powys, Wales, for afternoon tea. We had a lovely time, and ooh-ed and ahh-ed at the décor, the furnishings, the grounds and the delightful setting….then I managed to lock myself in the loo! It was a pretty fancy loo, with a little sitting room adjoining it, but my mum and sister were waiting for me in the main hallway, beyond the outer room, so had no idea I was stuck. Luckily someone else came to use the facilities and they were able to open the door for me. The moral to the story? Stately homes need butlers, because idiots like me can get into quite a pickle! Lark: [laughs] That must have been both funny and embarrassing at the time! Those stately houses are so big, it’s easy to get lost or – as you did – stuck in one. Thank you so much for stopping by today, Cathy. It’s always a pleasure to chat with you! CA: Thanks for having me – you always ask such good questions! Lark: [blushes] Thank you! I hope you’ll be able to come back on your next tour! 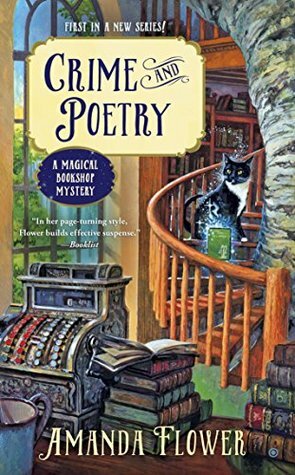 The Case of the Dotty Dowager introduces what promises to be a delightful and somewhat different cozy mystery series. Splitting the detective role among four women (three field agents, one tech expert) is a daring choice, since most mystery novels focus on a single detective or perhaps a partnership. But it worked for me. I found myself increasingly warming to the four main characters as I read, particularly the three field agents: Christine, Mavis, and Annie. Three other significant characters may play an ongoing role in the series as well, but I can’t tell you who without spoilers. The first third of the book focuses mainly on establishing the characters and their relationships, and laying out the problem to be investigated. The dowager duchess claims to have found a body in the dining room. When her son, the duke of Chellingworth, goes to see, there is nothing there. Is she perhaps going senile, as Henry fears, or did she really see something? Only a single clue remains: a bloodstained knit cap. I fell in love with the dowager duchess, Althea. She’s strongminded, practical, and has a sense of humor. The latter is sadly lacking in her son, who seems a bit beaten down by the weight and financial woes of the duchy. Henry isn’t a bad sort, but he is, to borrow an older British phrase, a bit of a wet. There are other, secondary characters connected to the estate; once the field team arrive on the scene, we’re also introduced to several residents of the nearby village, including a pub owner and his wife. Setting is one of the delights of this book: we get both the traditional stately home (two, actually, since the dowager lives in the Dower House) and the village. Another delight is the diversity of characters. This isn’t the Britain of Christie and Sayers, but a very modern Britain with a significant minority population and much more internal migration – for instance, the owner of the pub in the Welsh village hails from London’s Bethnal Green. The four main characters are Welsh (Carol), Irish (Christine), Scottish (Mavis), and English (Annie), which gives the author plenty of scope for writing dialog and accents. The Welsh speakers “sound” so Welsh that I could hear the accent in my head, while Mavis’s Scots accent broadens when she visits home, and seems fairly accurate to me. I’m not as familiar with today’s Cockney/East London speech, but for the most part, it worked pretty well as spoken by Annie and a number of secondary characters. The MCs also come from varying class and ethnic backgrounds as well: Carol is from a Welsh town or village, and is a computer whiz; Mavis was a nurse and matron of a retirement/nursing home; Annie grew up in working-class London and is of Caribbean descent; Christine is from an upper-crust, privileged family. They all get along surprisingly well, and have a real affection for one another. I found the mystery satisfyingly hard to figure out. By about two-thirds of the way through the book, I thought I had a handle on who the villain(s) was or were, and was beginning to vaguely guess what they might be up to, but I still had no idea who the (still missing) body was, nor how it tied into whatever was going on. The case proceeds the way I imagine a real investigation often does, with information coming in piecemeal, sometimes sparsely and at other times quite a lot at once. The book’s pacing is therefore a little uneven, but generally speaking it starts slowly (due to the need to establish so many main characters), picks up around the one-third mark, and picks up quite decisively around the two-thirds mark. There’s even a bit of personal danger to spice things up – and hints of romance for several main and secondary characters, though those remain unresolved by the end of the book. 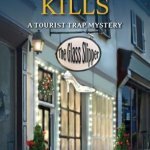 The overall tone is a little lighter and more humorous than Cathy Ace’s Cait Morgan series, but not fluffy: serious crime is taken seriously, and there’s no idealization of either village or upper-class life. All in all, this is a welcome debut, and a series I will definitely be keeping an eye on! And don’t forget to visit the rest of the stops on the tour! 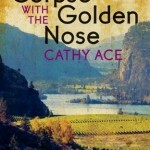 Welsh Canadian mystery author Cathy Ace is the creator of The Cait Morgan Mysteries. Born, raised and educated in Wales, Cathy enjoyed a successful career in marketing and training across Europe for twenty years before migrating to Vancouver, Canada. There she taught on MBA and Undergraduate marketing programmes at various Universities for a decade. Her eclectic tastes in art, music, food and drink have been developed during her decades of extensive travels, which she continues, whenever possible. Now a full-time author, Cathy and her husband are keen gardeners who enjoy being helped out around their rural acreage by their chocolate Labradors. Thanks for having me come along today….and I am so pleased you liked the book! It’s my pleasure – thank you! I hope you get the chance, Kaye! I’m so sorry to hear that, Cathy! What a frustrating day! The Book looks great…thanks for the chance. It was fun; I hope you enjoy it! This sounds delightful. I’ve added it to my wish list. It was fun – I hope you enjoy it!